Posted January 10, 2017 by Louis Rabinowitz & filed under Opinion. With around 500 original shows vying for attention on TV right now, it’s inevitable that today’s landscape is an extremely competitive one. Some shows spark with the public instantly and become mainstream hits, while others find a smaller, more dedicated audience and prestige from critical raves and awards attention. Very often, however, a new show doesn’t fit snugly into one of those categories, and ends up at the bottom of the pile, under the radar for critics and audiences alike. Sometimes that’s borne out of a lack of quality that sees the show rejected before it can ever find its feet, and sometimes it’s just plain bad luck. Take Frequency, which hit the CW as one of their much-promoted new fall shows, before quickly falling into obscurity on the back of low ratings and ambivalent reviews. While it’s been picked up by Netflix internationally, it’s pretty easy for even a discerning television fan to be completely unaware that it exists. 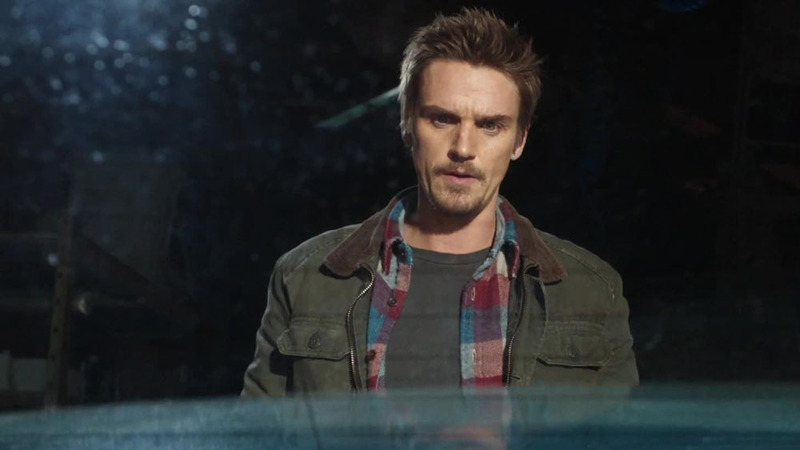 That’s a real shame, because Frequency is a smart, interesting show that came out of the blocks fully-formed, willing to take its thought-provoking concept of a father and daughter connecting across time on a ham radio in order to catch a serial killer, adapted from the cult favourite movie of the same name and head in some surprising, bold directions with it. 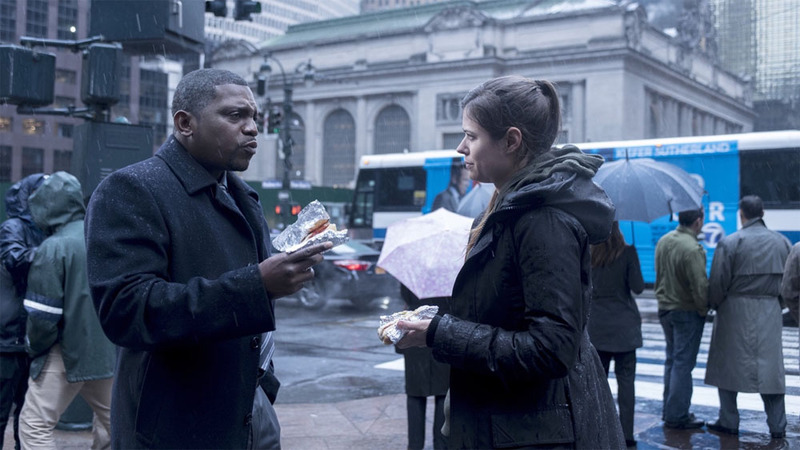 Frequency is a show that’s operating in multiple genres at once, and as such there’s several interesting layers to any given episode. Firstly, there’s the sci-fi elements of the show, which are smartly just presented up front without any convoluted explanation as to the ‘hows’ and ‘whys’, which allows Frequency to use its time travel concept for an exploration of the butterfly effect, as events in 1996 influence and warp the present day, with even small actions in the past wiping relationships and characters off the map. Gradually, as the story is peeled back, this exploration becomes richer and more philosophical, both on a character level, as Frequency potently explores the vastly different lives any one person could lead and how quickly lives can be sent spinning another direction by a surprise factor, and on a plot level, as characters are drawn into ruthless and violent actions with the future spelled out for them. Then there’s the mystery thriller element of the show, which revolves around a killer that the protagonists, father and daughter Frank and Raimy, are both hunting down in their respective times. The mystery of the Nightingale killer starts out in relatively humdrum fashion as different suspects come under the microscope and red herrings pop up, but once Frequency begins to zoom in on the unique and twisted threat that a killer operating over a span of twenty years can pose, it begins to weave a really compelling, macabre story that dives deep into unflinchingly dark subject matter. Finally, there’s the heart of the show, which is the relationship between father and daughter, both in the past and present. 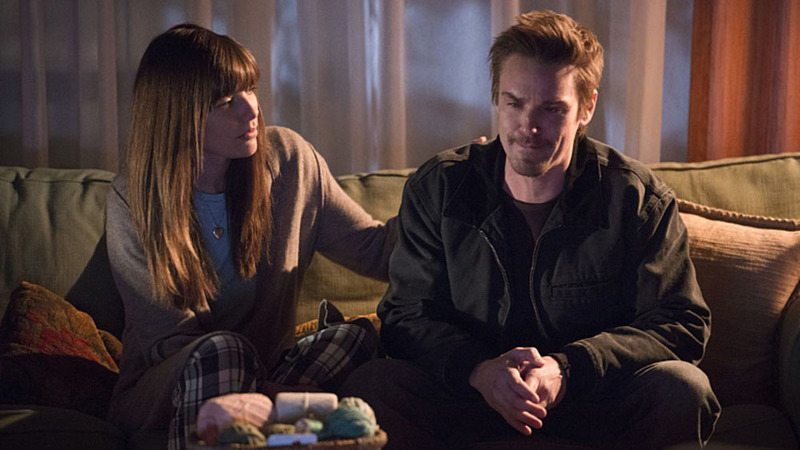 Frequency spends plenty of time in the early episodes wistfully engaging in the poignant concept of a father communicating with a daughter who is now older than he is. However, it swiftly plays that idea to its conclusion and moves onto the more complex relationship between Frank and Raimy as a child in the past, which soon yields its own rewards as Frequency gradually exposes the stinging gulf between Frank’s peril-laden life and the domestic bliss that’s available to him, no matter how often he tries to play both sides. There’s a genuine sincerity to Frequency’s presentation of relationships, and a desire to create interactions that, appropriately for a show dealing with time travel, are burdened with the weight of history between the characters even if they’re trying to move forward, which creates a really believable and intimate world full of characters with their own multi-faceted inner lives. It would be remiss to present Frequency as a show that was the best version of itself from the pilot – it takes patience as the show tries out different stories and figures out exactly what it wants to be. For instance, it occasionally struggles to create a compelling narrative beyond the basic stories sketched out above. When it needs to broaden out and juggle multiple conflicts for its characters, the attempts can be half-hearted imitations of those principle stories, which includes a slightly tedious police corruption story and an on-off, on-again relationship between Frank and his ex-wife that’s somewhat mired in typical soap opera drama. Stick with it, though, and you’ll find a show that’s compelling on multiple levels, mixing drama, mystery and time travel shenanigans with consummate skill while adding layers to its engaging serialised narrative that twists and turns into wholly unexpected new places. While watching the show weekly has been a fun way to track Frequency’s development as it refines itself, it’s suited perfectly to a binge watch that’ll allow a viewer to blast their way through the early rough patches and watch the intricate pieces of the central mystery quickly slot into place. With just three episodes left of this season, and possibly the series itself, it’s well worth catching up to enjoy a story that’s proven itself to be a rewarding watch that has the potential to grow into something truly great, if given the chance. Frequency is now available for streaming on Netflix UK, with new episodes added weekly. Download Season 1 on Amazon here.